By the time the 1962 Chevrolet Corvette was ready to hit the automotive scene, the company had already established the car’s reputation. The Chevy Corvette had solidified itself within the American consciousness as a classic thanks to the visionary talents of hard-working engineers like Zora Arkus-Duntov and Edward Cole. However, the C1 generation was drawing to a close with the release of the 1962 Chevrolet Corvette. As much as fans loved the line, it was time for a change. The 1962 model foreshadowed this change with its new lines, a more powerful engine, and an improved fuel injection system. Chevrolet had come a long way since the release of their initial two-seat roadster in 1953. While the original model had some performance issues upon release, these issues didn’t stop the company from pressing forward and making subsequent cars better. This perseverance helped Chevy to create an American sports car that would go on to rival its well-known foreign counterparts and stand on its own merits. One of the most significant and innovative upgrades to the 1962 Chevrolet Corvette was its engine. The 1962 car was the first to incorporate a much larger V-8 engine than any model before it. This time, the company used a 327 cubic inch engine block, displacing the smaller 283 engine found in earlier models. As a result of this change, the 1962 Chevrolet Corvette enjoyed unparalleled torque and power, covering marker distances in mere seconds while pushing 100 miles per hour. Chevy also scaled back the physical design of the car, keeping only the classic essentials. The 1962 Chevrolet Corvette is notable for being one of the most popular models the company ever produced. It’s also a car that marked the end of an era. It was a physical transition between the first generation of Corvettes and the second. Although the 1962 iteration still retained many of the physical features that made the lineup popular with fans, the company also included several upgrades to set it apart and pave the way for the C2. Chevrolet knew they would have to update the 1962 Corvette to set it apart from its predecessors and to mark the end of the C1 generation. They achieved this goal on two fronts by altering some of the car’s physical characteristics and improving its performance. Fans responded well to both changes, thus ensuring that the 1962 Chevrolet Corvette had a place in automotive history. The addition of a larger V-8 engine was one of the most significant performance enhancements Chevy made to its 1962 car. The new engine was the same design as its smaller parent. However, it included upgrades to enlarge its cylinders and overall dimensions. This bigger engine increased the car’s ability to deliver more torque and horsepower at a moment’s notice. However, it required some additional changes to function correctly. The increase in power and handling was something fans noticed, though. It was a fitting parting gift to the end of the first generation of Corvettes. A larger engine meant that the 1962 Chevrolet Corvette also needed a greater air-to-fuel ratio to produce top levels of power and speed. Chevy made enhancements to the existing fuel injector to allow more of it to pass through the car on its way to the engine block. The company changed both the ports and the camshaft for the new engine, thus tightening the compression ratios. This set the Duntov engine apart from its competitors. Drivers liked not only the extra power but the ease with which they could affect repairs as needed. The 1962 Chevrolet Corvette received changes to its physical appearance as well. Many fans felt that some prior versions of the car had too many excesses. Chevy listened to these complaints and sought to solve the issue by scaling back on the 1962 car’s exterior accessories. Perhaps the most obvious change came in the form of removing the car’s chrome outlines. This physical design feature had been a staple of the Corvette since the 1956 version of the car. The company made other small changes to help give the car a more unified appearance. Finally, they installed narrow-band tires to keep up with automotive design trends at the time. If you own a 1962 Chevrolet Corvette and need technical help and support, there is a variety of options open to you. Online forums dedicated to discussing the Corvette are home to members that welcome newcomers and are eager to share their knowledge should you have an issue with your model. If you’ve identified a problem that you need to repair, vendors such as Zip-Corvette stock everything from simple hinges to full support frames and replacement hoods. In most cases, they can ship parts directly to your door. Fans are still eager to personalize their own versions of the 1962 Chevrolet Corvette to this day, perhaps because the car marks the end of an era. Popular interior parts include customizable door panels or unique seat covers. You can also purchase various dyes to change the color of the cab to match your preferences. Exterior customization usually involves changes to the trim, unique bumpers, or additional Corvette emblems. Sites such as Paragon Corvette also carry an extensive line of 1962 Corvette memorabilia. 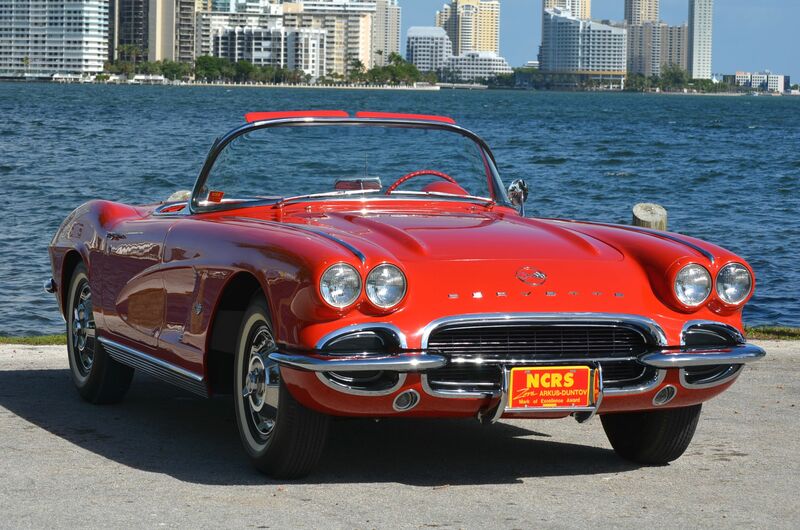 Corvette had enjoyed a great run up to 1962. However, company designers understood fans were eager for something new. They said goodbye to the C1 line of Corvettes with a car that gave drivers excellent performance options in a package that was both understated and stylish. 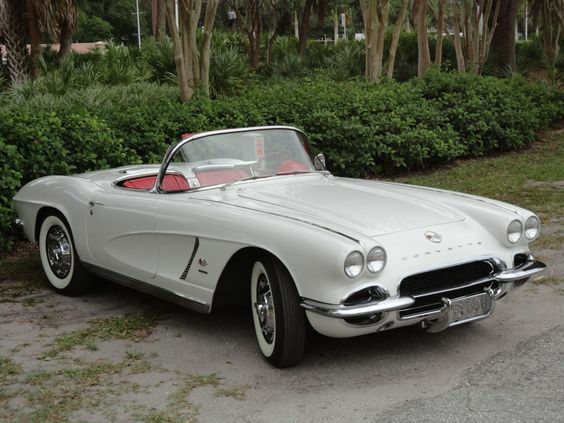 The 1962 Chevrolet Corvette successfully combined classic charm with a nod to Corvette’s bright future. 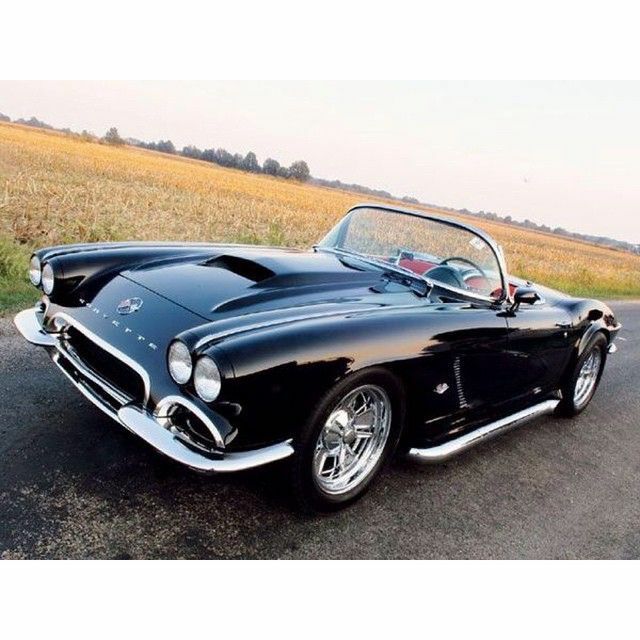 If you’d like to share your experiences with or thoughts about the 1962 Corvette, please leave us a comment in the section below.